Which Phytocannabinoids exist and what is their pharmacological effect? THC (mainly antiemetic, relaxing, sedating) unfolds its effect predominantly as an agonist of CB1 and CB2 receptors of the endocannabinoid system (ECS). The main function of the ECS is, among other things, the inhibition of release of various neurotransmitters. The second most common cannabinoid in medicinal hemp, cannabidiol (CBD – mainly antipsychotic, anxiolytic, anti-inflammatory, antiemetic, spasmolytic), is not psychotropic and acts in part indirectly through modulation of the THC/CB2 receptor interaction. 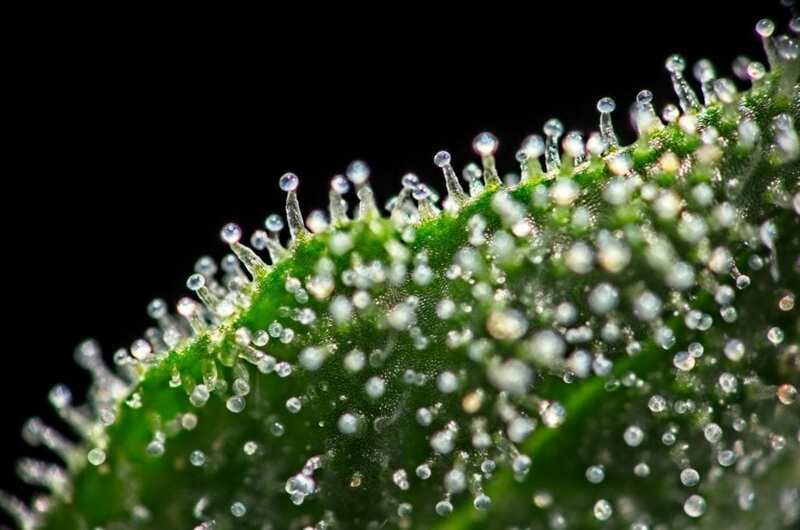 The terpenes (main constituent of essential oils) also seem to be important players in the entire “orchestra” of cannabis pharmacology; it is also well known outside cannabis research that the fragrance of limonene (terpene found in cannabis and citrus fruits), for example, improves mood and that myrcene (terpene found in cannabis and hops) is relaxing. Al/antioxidant (Hampson et al., 1998) Limonene et al. Muscle relaxant (Kavia et al., 201 0) Linalool? Antipruritic, cholestatic jaundice (Neff et al., 2002) Caryophyllene? CBD Al/antioxidant (Hampson et al., 1998) Limonene et al. ↓ keratinocytes in psoriasis (Wilkinson and Williamson, 2007) adjunctive role? Al/anti-hyperalgesic (Bolognini et al., 2010) Caryophyllene et al. . . .
Table 2. 5-HT, 5-hydroxytryptamine (serotonin); AEA, arachidonoylethanolamide (anandamide); AI, anti-inflammatory; CB1/CB2, cannabinoid receptor 1 or 2; GABA, gamma aminobutyric acid; TRPV, transient receptor potential vanilloid receptor; MRSA, methicillin-resistant Staphylococcus aureus; Sx, symptoms. Monotherapy vs. Phytotherapy - What is the Entourage Effect? There is a fundamental difference between a monotherapeutic and a phytotherapeutic approach in pharmacotherapy: monotherapy works with one or a few isolated or chemically designed novel components to target a molecule or a single signaling pathway known to be involved in a disease. Since all physiological processes in the body are ultimately intertwined however, unforeseen (and at first sight unrelated) side effects often occur. In the phytotherapeutic approach, a mixture of active ingredients is used, its clinical effects (including side effects) being well-known from sometimes millennia of ongoing observation and tradition – not only from in vitro or in vivo models of diseases, but humans – and science examines in detail which molecules and signaling pathways are involved in the following. If the pharmacological properties of a complete plant extract act synergistically in a way that effectively 1 + 1 = 3, then this is the so-called “entourage effect” of the contained active ingredients: In addition to the known active ingredients, other undefined components in the mixture seem to contribute to its enhanced efficacy. Experts call medical cannabis a prime example for this effect.